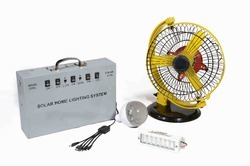 Pioneers in the industry, we offer village boom home lighting system and solar home lighting system from India. 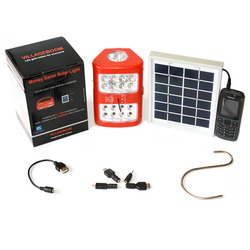 Village Boom is a mutli function solar lamp that can be used as a study lamp, task lamp or a torch light. It can even be suspended in the air through a metallic hanger provided with the lamp. 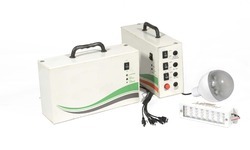 Supported by a 3.7V-2200mah Li-Ion battery, the lamp has three light modes that deliver 110, 50 and 20 lumens of output with a back up of 6, 12 and 30 hours respectively. Village Boom can also be recharged via electricity through a standard Nokia Phone charger.